The Middle East and North Africa are plunging into anarchy. As states and national governments are imploding, clans and terrorist groups take their place. The Swedish Social Democratic Party, with its tradition of solidarity, now risks backing al-Qaeda and other terrorist organizations. The party has not been able to reassess its long-time support for so-called “liberation movements” – despite the fact that the Arab Spring has turned into a freezing winter. Future historians will date the first day of the Arab Spring to November 17, 2010. This was the day when the unemployed scholar and vegetable merchant Muhammad Bouazizis self-immolated in protest against the regime in Tunisia. Since that day, the entire Middle East and North Africa have been impacted in one way or another. In Tunisia, Libya, Egypt, and Yemen, governments have been overthrown. In Syria, a brutal civil war is raging. Meanwhile, large swaths of Iraq are lawless territory or controlled by the Islamic State terror cult. Libya is only a state in theory, since its territory is also best described as lawless. With two governments, two armies and 1,700 militia groups, the situation has become so dangerous that not even aid organizations or veteran war correspondents dare to maintain any kind of presence. Libya went from being controlled by Muammar Gaddafi’s despotic regime to becoming a threat to the stability of the entire region. The country is a haven for at least three terrorist outfits that use destabilization tactics in their warfare. In Libya, al-Qaeda, Boko Haram and the Islamic State can move around more or less freely. The border between Algeria and Mali is so fluid that al-Qaeda fighters move freely across it, and now al-Qaeda has also established a foothold in the Polisario refugee camps in Western Sahara. The Arab Spring was celebrated by the media and intellectuals in the West, who referred to it as “the Twitter revolution.” The images of the protests in Tahrir Square – where young, enlightened students gathered through communicating via social media – were cabled out across the world and gave the appearance of a true popular uprising, based on liberal and secular ideals. Unfortunately, this analysis lacked substance, although there was major dissatisfaction with the local regimes. Only ten percent of Egypt’s population had access to the Internet, and only three to five percent of citizens had access to a smartphone. This was corroborated in the subsequent elections; when the people went to the polls, it certainly wasn’t to cast their votes for the secular, liberal alternatives. Instead, the majority of voters in Egypt chose, to the West’s great surprise, one of the conservative religious options and the Muslim Brotherhood thus came into power. The Egyptian voters chose to vote for candidates closest to their own clan-based loyalties. In times of turmoil, and the Arab Spring must be considered to fit that description, the people of this region take shelter in the safety of their origins and their traditions; their clan. The clan is usually held together by the local mosque and the madrasa is the natural venue for all matters, large and small, and forms the central structure for education and social welfare in this region. The Middle East and North Africa appear to be on their way back to their original states – the same social structure that existed at the time of the first caliphates, some 1,400 years ago. Initially, there were no distinct state borders in the region, which was dominated by clan-controlled territories. Over time, the clans made alliances but were also fighting amongst themselves for resources and control of the regional trade routes. Clan culture still dominates the entire region. Something the Prophet Muhammad and his followers were well aware of, and which was quickly taken advantage of for the spreading of Islam. In the year 750 AD, the caliphate spanned from today’s Pakistan all the way to Spain and Morocco. Islam was introduced as an overall “clan” to gather under. The expansion was a product of negotiations and deals more so than actual combat. The caliphate offered both protection and secure trade routes, and in addition, some adjustments to local interpretations of the Quran was offered in exchange for conversion. This explains the diversity of Islam, not only the division into Sunnis and Shiites, but also the different interpretations that exist within these two main orientations. After the Ottoman Empire’s final collapse in 1923 – it had, from the 1200s, replaced parts of the original caliphate – the map was finally redrawn. Already in colonial times, but perhaps primarily after World War I, a number of new states were created which didn’t have the slightest to do with the region’s origins or natural boundaries. The borders between Egypt, Sudan and Libya, for example, are the results of drawing a straight line with the aid of a ruler. Lines which, without reflection, were drawn at the negotiating tables in Paris and London as colonial powers divided up the Middle East and North Africa. Territories previously controlled by a clan were divided and ended up in two or more different countries. The dissatisfaction that this creates still to this day gives rise to various forms of liberation movements and power struggles. Some of these liberation movements, such as the Muslim Brotherhood, primarily have the ambition to affect the religious interpretation of the Quran; others have territorial claims, such as the Polisario guerrilla in Western Sahara and al-Shabaab in the Horn of Africa. A time-tested example is southern Lebanon, where Hezbollah controls large areas. Hezbollah is more than an armed guerrilla group; it is a clan-based structure for healthcare, education and social welfare. In southern Lebanon, social structures would collapse without the organization’s schools and hospitals and social welfare commitments. Hezbollah, like any other similar movement, exists only with the clans’ permission. The Swedish Left has supported various liberation movements in the Middle East and North Africa since the late 1960s, both politically and financially. There are countless local organizations that have received Swedish support – from the Muslim Brotherhood in Egypt to the Polisario in Western Sahara. Personal ties to these movements are well-documented and the Social Democrats for Faith and Solidarity has, not least by former chairman Peter Weiderud, made themselves known for close contacts with the Muslim Brotherhood’s European organizations. 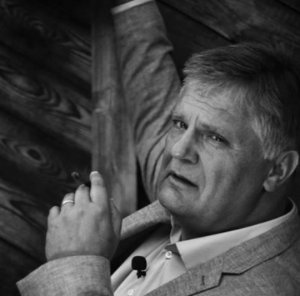 Ulf Bjereld, Professor of Political Science at the University of Gothenburg, who – among other things – is a known pro-Gaza activist, chairs the organization and thus has a seat on the Social Democrats’ key Executive Committee. The Social Democratic Youth League (SSU) and the Olof Palme International Center are other organizations which actively promote political and financial support to the Polisario in Western Sahara; a movement which is now involved with al-Qaeda. Polisario has long been criticized by the UN Security Council; aid money is used to procure arms and the Polisario is reluctant to grant the UN High Commissioner for Refugees admission into the refugee camps in Algeria. This is, of course, the same Security Council which Sweden has bent over backwards to become a member of. Accompanied by great strife and turmoil, the Middle East and North Africa region is today reverting back to its pre-colonial state. A state of lawlessness where clan rule replaces the role of national governments, which are more or less imploding. But the different branches of the Swedish Left uncritically continue to support the “liberation movements” financially and politically. Thus, the Swedish Social Democratic labor movement plays an active role in the destabilization of the entire region. The Swedish Left has been unable to continually reevaluate the organizations they have sided with. This, despite the fact that the game has completely changed, and the Arab Spring has turned into a freezing winter.